Here are the dates you need to remember for filing business taxes for the 2018 tax year. Details for each business type are included. Tax return filings and tax return due dates differ for business types. Check this article for the tax return deadline for your business type for the current year. Sole proprietorship and single-member LLC tax returns on Schedule C (with the owner's personal tax return): April 15, 2019. Partnership returns on Form 1065 with Schedule K-1 for each partner: March 15, 2019. Multiple-member LLC returns on Form 1065 with Schedule K-1 for each member: March 15, 2019. Corporation and S corporation returns on Form 1120 S with Schedule K-1 for each member: March 15, 2019. Schedule C for sole proprietors and single-member LLC's: extension until October 15, 2019, filed with the owner's personal tax return. Partnership and multiple-member LLC filing as partnership extension deadline is September 16, 2019 (no change, but the date is different because Sept. 15 is a Sunday). The corporation and S corporation extension deadline is September 16, 2019. Partnership tax returns: Effective with the 2016 tax year, partnership tax returns, filed on Form 1065, must be filed by the 15th day of the third month after the tax year end date. For most partnership returns, it's March 15. (The previous due date was April 15). The earlier deadline gives partners a chance to receive Schedule K-1's before the personal tax return due date. C Corporation tax returns: Generally, most all for-profit companies are organized as C corporations and take on their own tax liabilities. 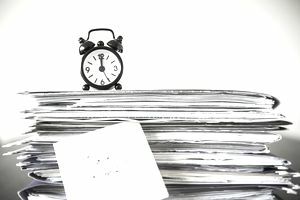 Effective with the 2016 tax year, there are new deadlines for filing corporate tax returns on Form 1120, depending on the corporation's fiscal (tax) year. If the end of the fiscal year is December 31, the new deadline for 2018 returns is April 15, 2019. For fiscal year endings other than December 31, the deadline is the 15th day of the 4th month after the end of the fiscal year. If April 15 is on Sunday, the due date is Monday, April 16. If April 15 is on a Saturday, the due date is Monday, April 17. In some years, Monday, April 15 is a holiday, so the due date is Tuesday, April 16. A sole proprietorship business is an extension of the person running the business, so its year-end is December 31, and the tax return due date is the same as the individual's—April 15, 2019. Sole proprietor businesses file their business income tax return on Schedule C, which is part of the group of forms and schedules that go along with the person's personal tax return. The due date for the 2018 Schedule C is April 15, 2019. The Schedule C is filed with the owner's individual tax return (Form 1040). A single member LLC (that is, an LLC with only one owner) is taxed like a sole proprietorship, using Schedule C to calculate net income, so the tax returns are due and taxes are payable on April 15, for the prior year. The due date for 2018 Schedule C forms, along with the owner's personal tax return, is April 15, 2019. A partnership return is filed as an information return on Form 1065, and tax is owed on the individual partner tax return. Form 1065 is now due on the 15th day of the 3rd month after the end of the partnership's tax year. For a December 31st year-end, the due date is March 15. For 2018 tax return filing, the partnership return due date is March 15, 2019. March 15 is also the due date for individual partners to receive Schedule K-1 showing their individual share of the partnership income or loss, to be filed in April on their personal tax returns. Multiple-member LLCs are often taxed as partnerships. If this is the case, the partnership filing and payment regulations above apply, including the March 15, 2019, deadline for giving partners their Schedule K-1. Multiple-member LLCs have the option to be taxed as a corporation. This can be beneficial if the corporate tax rate is lower than the owner’s personal tax rate. S corps must file an information report on Form 1120 S and provide K-1s by March 15, 2019. S corps have some advantages in that they may be able to distribute dividends or distributions to the owners, which are taxed differently than standard income. Corporations often choose any convenient date as their year-end (usually a quarter-end) date. For the 2018 tax year, corporation tax returns are due and taxes are payable on the 15th day of the 4th month after the end of the company's fiscal (financial) year. For example, a corporation with a year-end date of December 31 must file and pay taxes by April 15, 2019. How Long Is a Business Tax Return Extension?